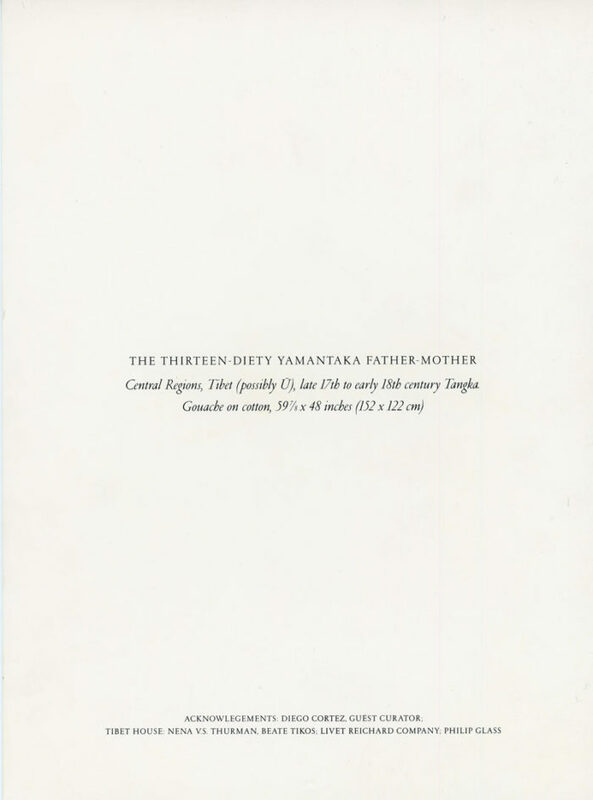 Folded card for 1995 Yamantaka Donation, an exhibition to benefit Tibet House New York at Gagosian Gallery, 1995. 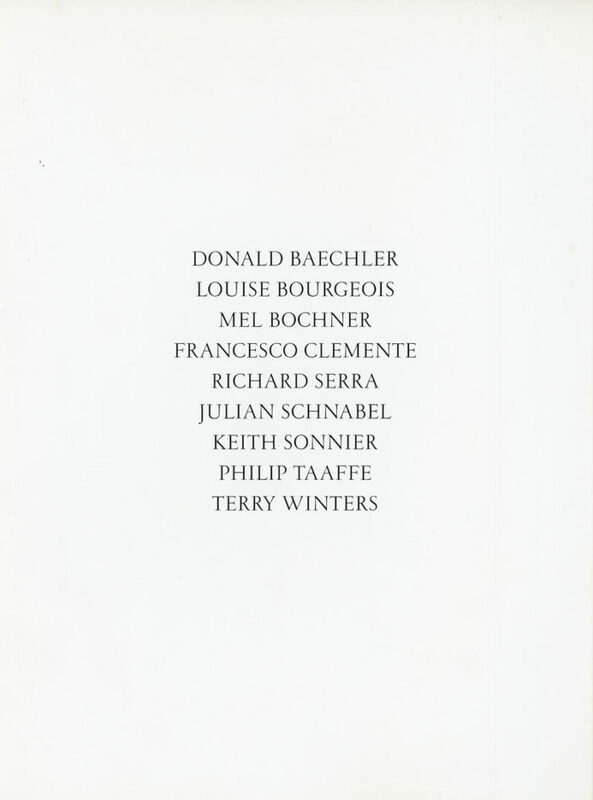 Artists participating in the benefit included Donald Baechler, Francesco Clements, Richard Serra, Julian Schnabel, Terry Winters and others. 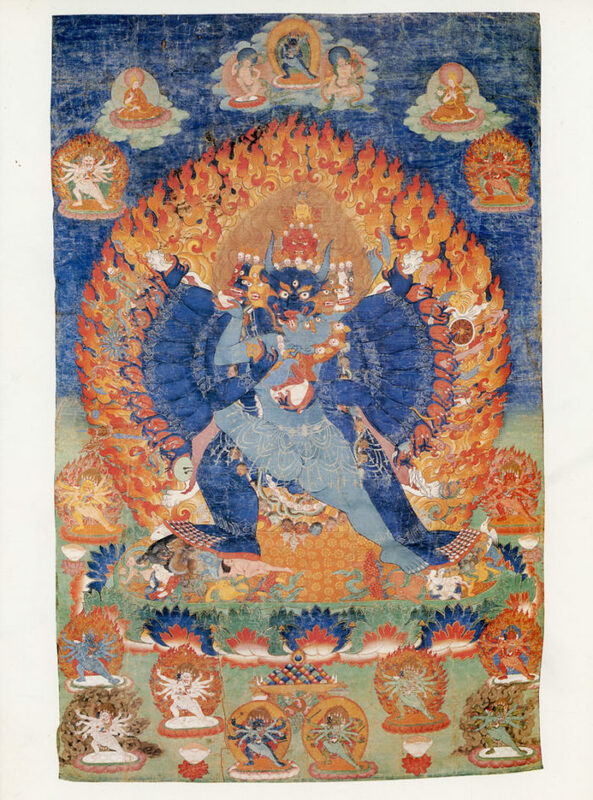 Front of card features The Thirteen-Diety Yamantaka Father-Mother, a Tibetan painting from the late 17th to early 18th century. Diego Cortez was the guest curator for the exhibition.